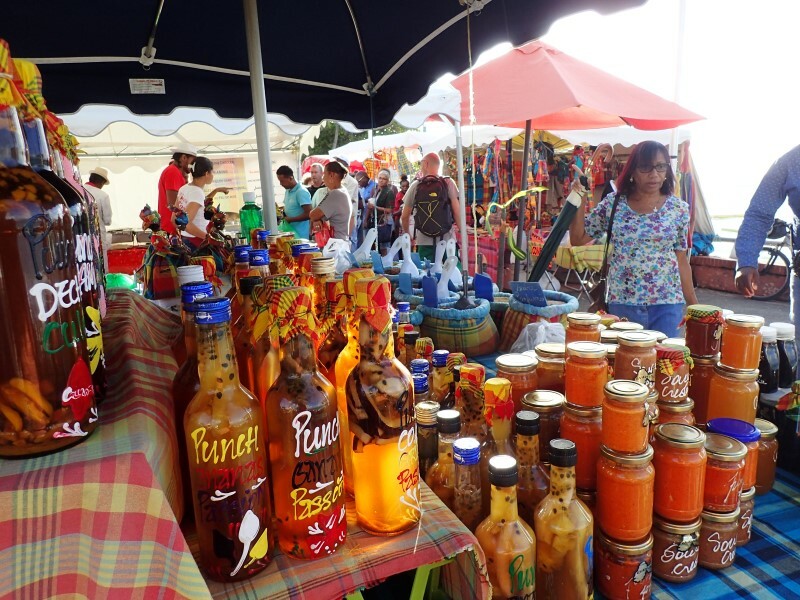 Guadeloupe is a French overseas territory, which, for Western travelers, allows a smooth access to the Caribbean, thanks to the presence of the euro, to mobile phones that can be used freely and to modern facilities. More important still is that Guadeloupe is a group of beautiful islands, boasting the white beaches of Grande Terre, the wild paths of Basse Terre (strangely, Basse Terre - literaly Low Land - is the biggest and most mountainous island) and the picturesque houses of the small Les Saintes archipelago. The ideal activities during a holiday in Guadeloupe are snorkeling, hiking, kayaking and even no-k-things such as sailing and surfing. Or, you can relax on a white beach, sunbathing a bit and then lying under a palm tree. 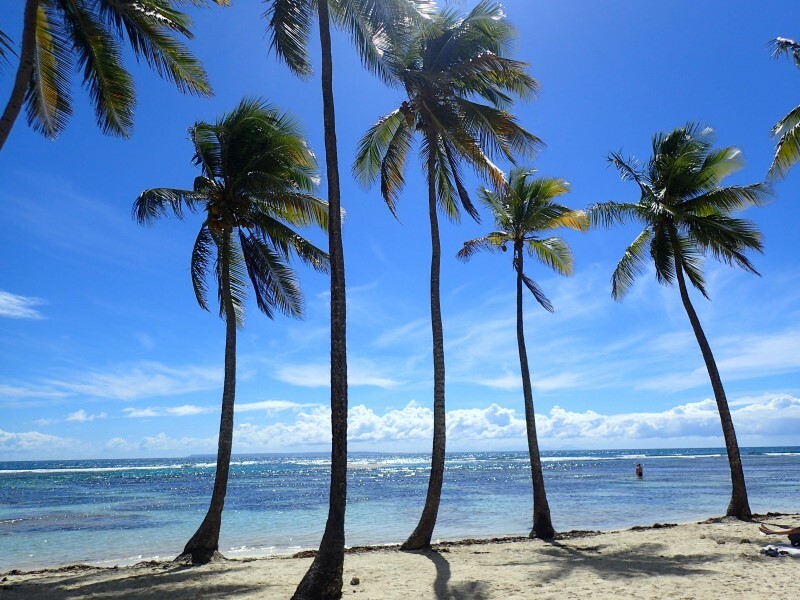 If you are looking for paradisiacal beaches in Guadeloupe, with white sand and palm trees and crystal clear blue water, the area around Sainte Anne, in the southern part of Grande Terre, is the place to go. 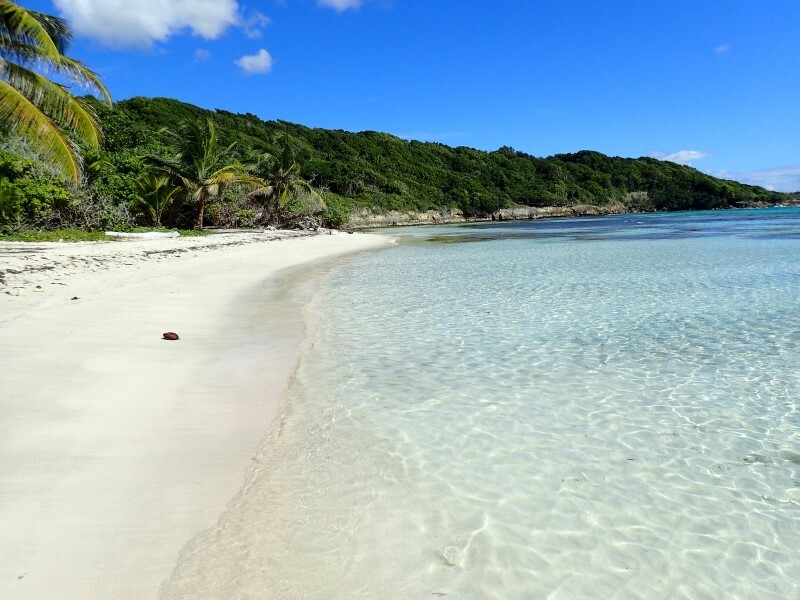 In addition to the beach of Sainte Anne itself, in the surrounding area there are the most intimate beach of Petit Havre and the long and amazing Bois Jolan. 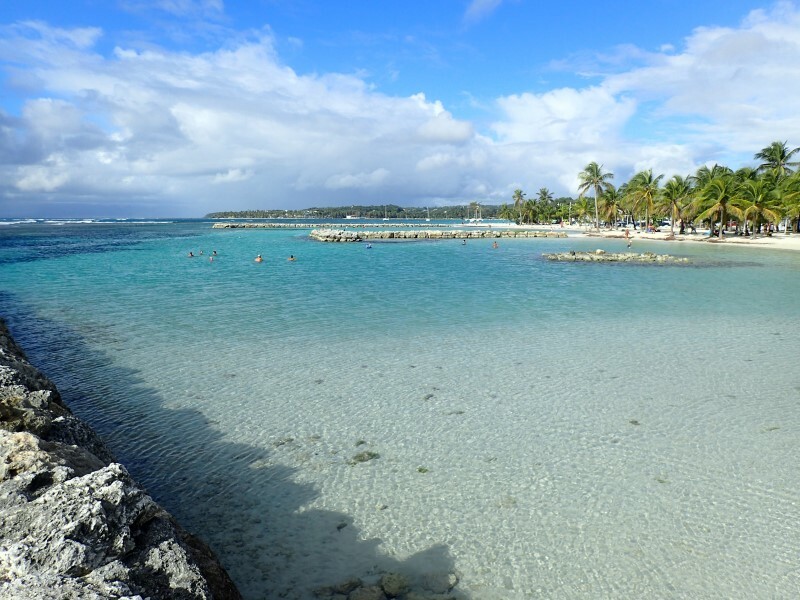 As mentioned, the beach of Bois Jolan is perhaps the most beautiful of Guadeloupe: a long stretch of white sand sheltered by the coral reef and surrounded by palm trees and other vegetation. The water has incredible colors, though it is not the ideal place for a swim, given the very low seabed. (Ehi, You can find all photos of the holiday here.). 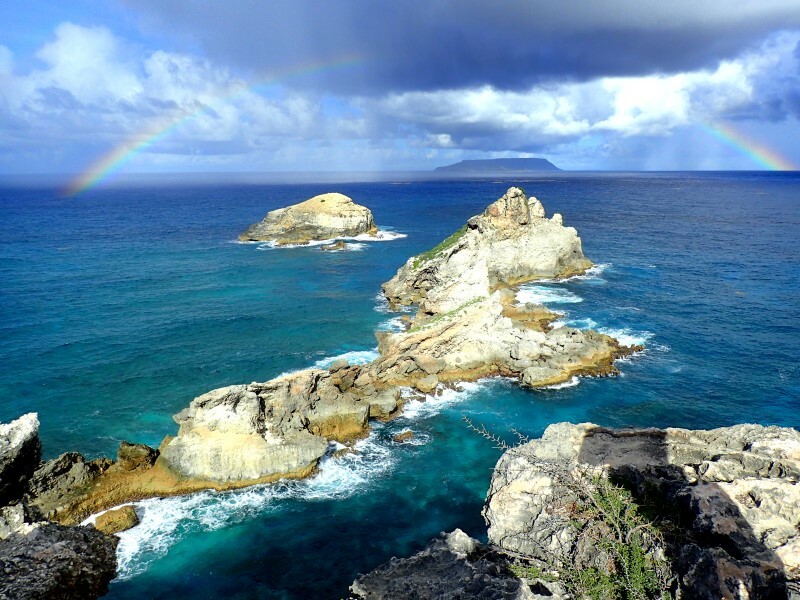 Another remarkable place to visit during a holiday in Guadeloupe is the Pointe des Chateaux, absolutely to be added to your own travel itinerary. The eastern promontory of the island offers beautiful views, especially from the cross at the top of the cape. If you look out to the Atlantic Ocean, you have an impressive view of the cliffs and the island of the Désirade. Another typical vacation spot in Grande Terre is Le Gosier, where many of Guadeloupe's major hotels are located. The village of Le Gosier, in front of the homonymous islet, it is quite characteristic. Other towns to visit in Grande Terre are Sainte Anne and of course Pointe-à-Pitre, the largest and most modern city of Guadeloupe (from which one inevitably passes, there being the airport). 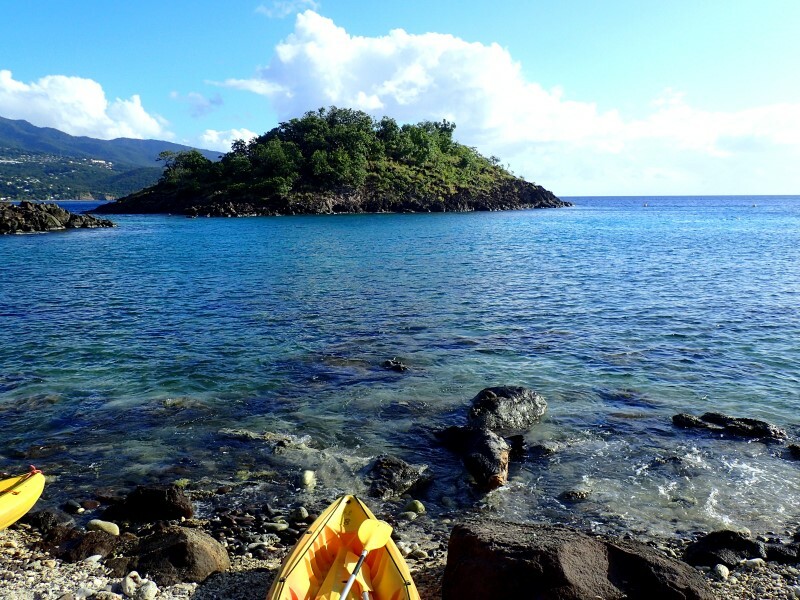 Although the most beautiful beaches of Guadeloupe are in Grande Terre, the best swims are done in Basse Terre. 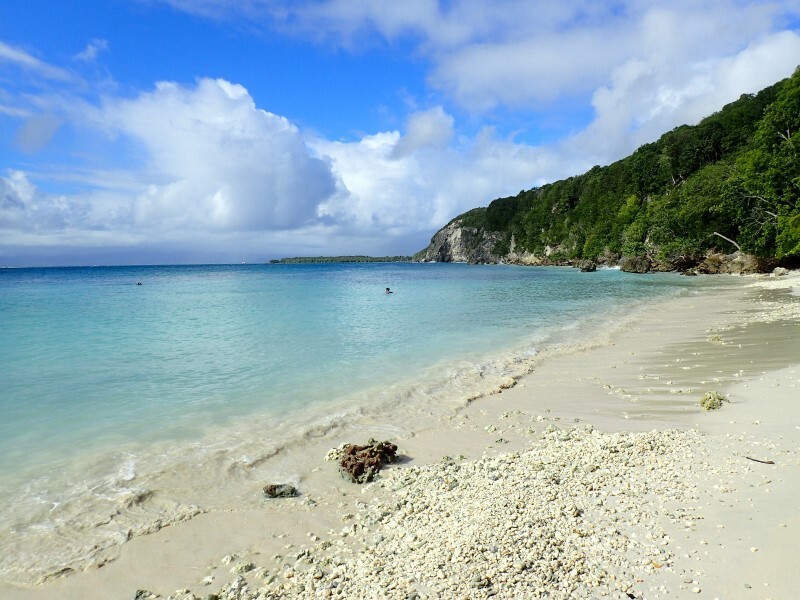 It is not a contradiction, because even though the white sand is missing in Basse Terre (the beaches here are mostly volcanic), the sea of the west coast is crystal clear, calm, deep, full of fish and corals. 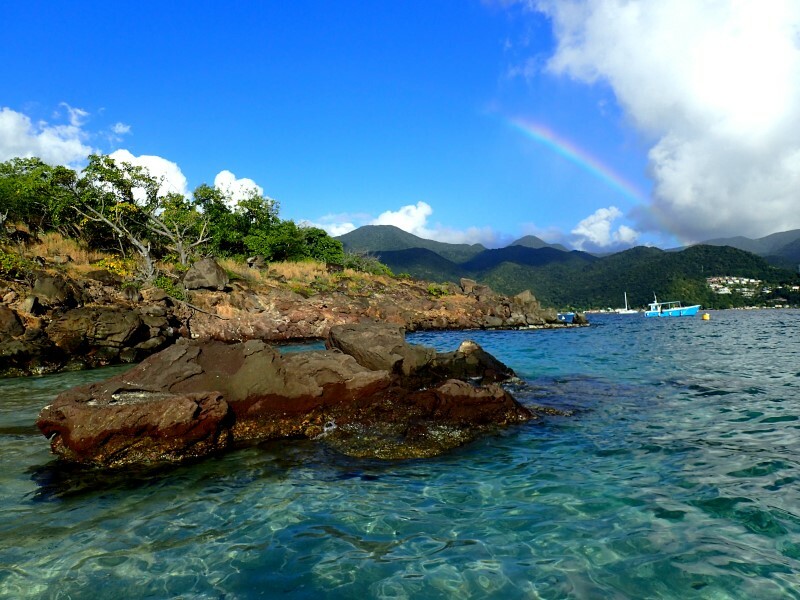 The snorkeling paradise is the Cousteau reserve, near Pigeon Island, absolutely to be included in a travel itinerary to Guadeloupe. 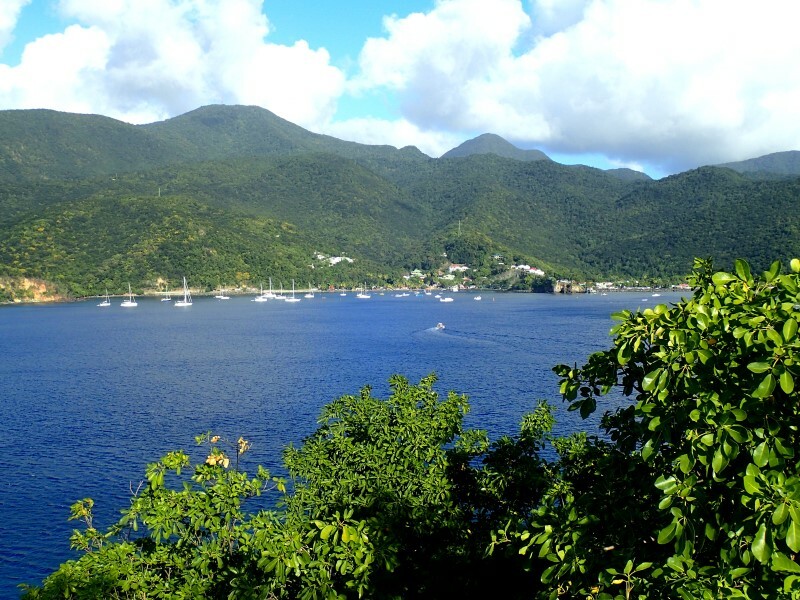 Here you can swim with myriads of colorful fish, as well as admire the green-covered mountains of Basse Terre. The turtles are found along the promontory that closes the reserve and often swim among the sailboats at anchor. Pigeon Island, accessible from the ground by rental kayaks, is tiny and pristine; from its (small) peak there is a wonderful view. 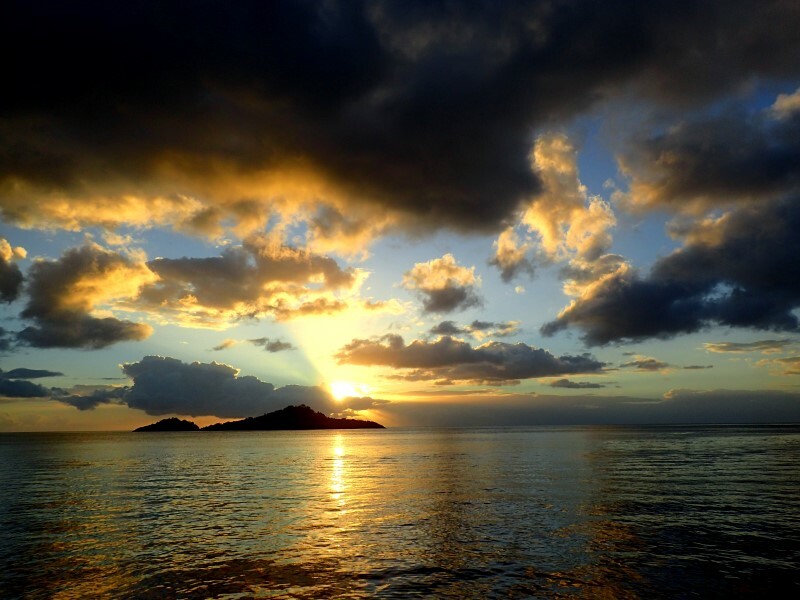 Another must-do at the Cousteau Reserve and in general on the west coast of Basse Terre is to admire the sunsets: when the sun goes down on Pigeon Island, in fact, you can admire the most beautiful twilights of a holiday in Guadeloupe. 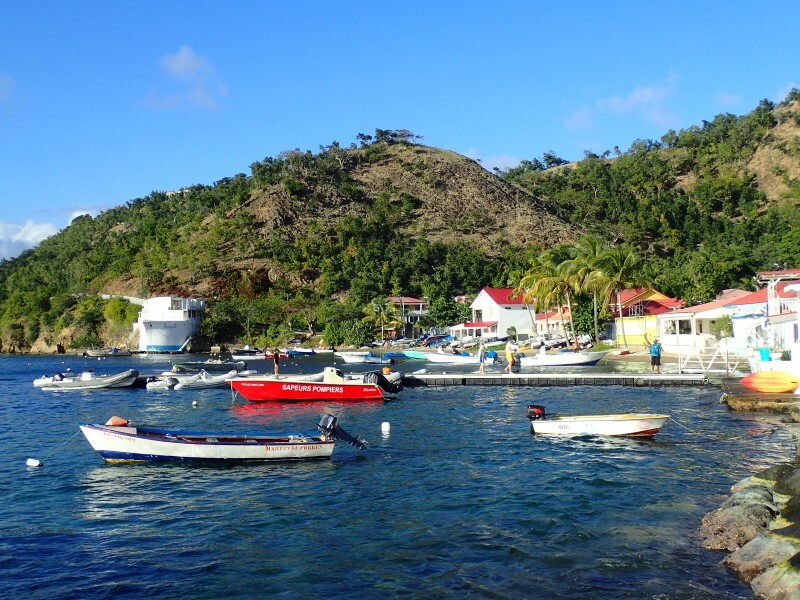 For those who visit Guadeloupe on a sailing boat (as I did for a few days, obviously a very cool experience), the other bays where to moor on the west coast of Basse Terre are Deshaies (to the north) and Anse à la Barque (to the south, not too far from Basse-Terre city, the capital of Guadeloupe). 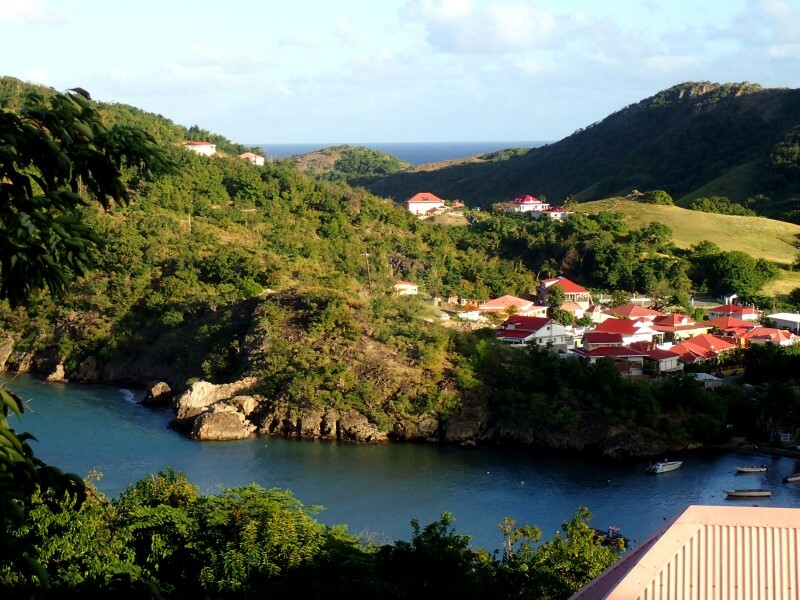 Deshaies is a quaint village, with beautiful cliffs under which to swim and a mountainous hinterland where to hike. Anse à la Barque has a black beach surrounded by palm trees and many iguanas. 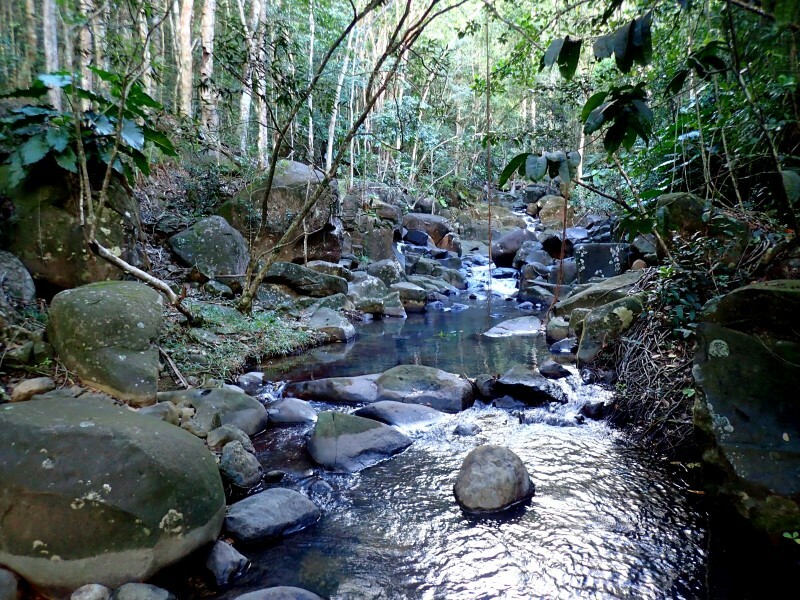 The interior of Basse Terre is mountainous, wild, with beautiful waterfalls that open into the tropical forest. 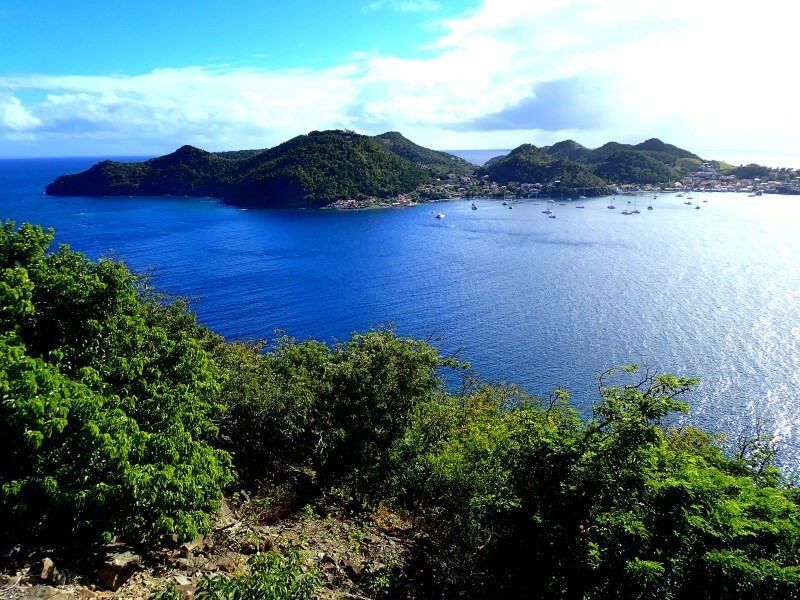 Here you can live a completely different part of the journey compared to the relaxing beaches of Grande Terre. The volcano, the Grande Soufrière, is almost always immerse in the clouds, at 1467 meters of altitude but, if the clouds leave a truce, it can be a destination for a spectacular hike. The most beautiful and famous waterfalls are those of Carbet, but there are many streams in the jungle that create waterfalls and ponds in which to swim. 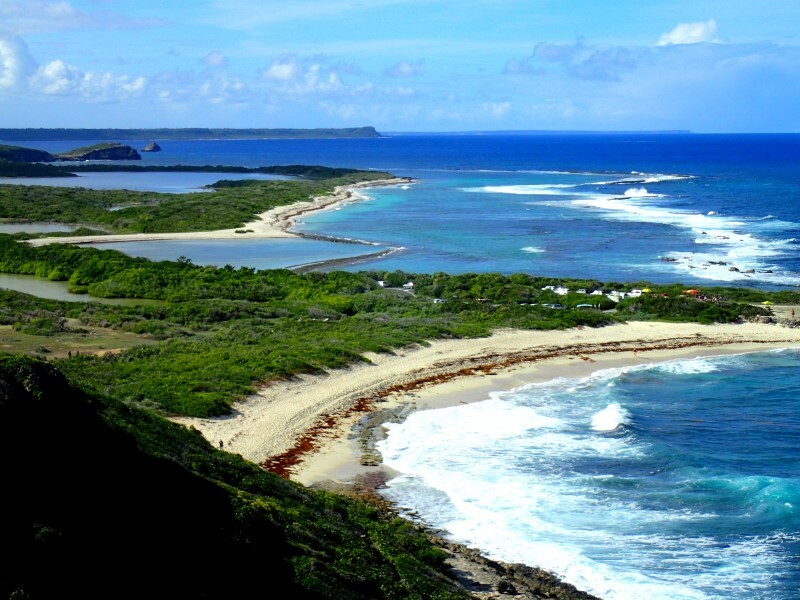 These small islands very close to Basse Terre must be absolutely included in a travel itinerary to Guadeloupe. The photos speak for themselves. The picturesque colorful houses of Terre de Haut represent a truly distinctive, tourist-like environment. You can walk up to the Fort Napoléon to admire a magnificent panorama (you do not need to reach the fort, in fact, the view it's already beautiful from the road). 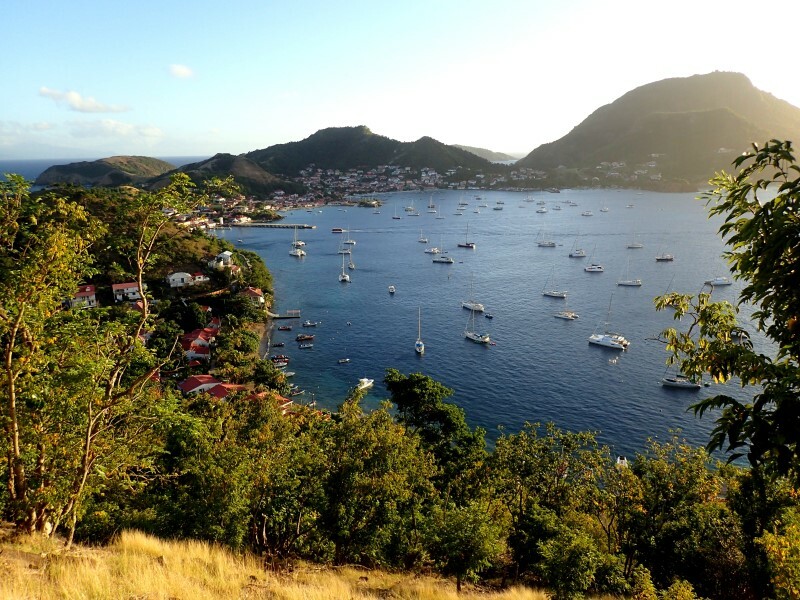 Another good idea is to walk to the bay of Marigot. 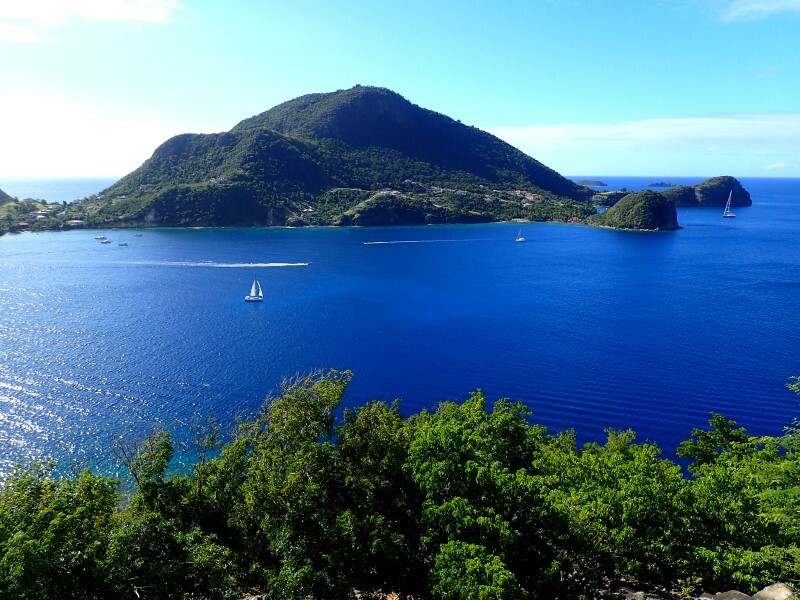 Terre de Bas is the other populated island of Les Saintes, while the tiny Ilet à Cabrit offers perhaps the most beautiful views. You can reach it by kayak and then climb up to the fortress at the top, from which you can admire a beautiful view of the archipelago. 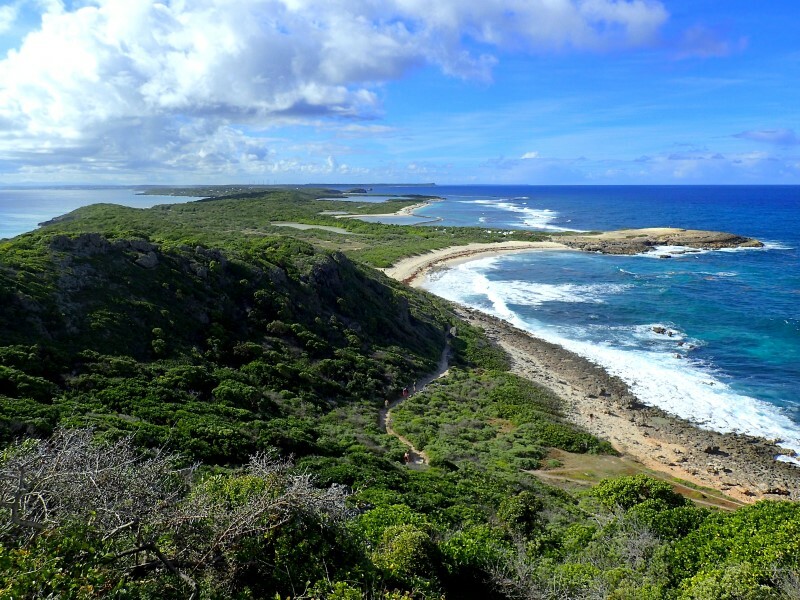 The island of Marie Galante, instead, is flatter and less scenic, but compensates with some magnificent beaches. 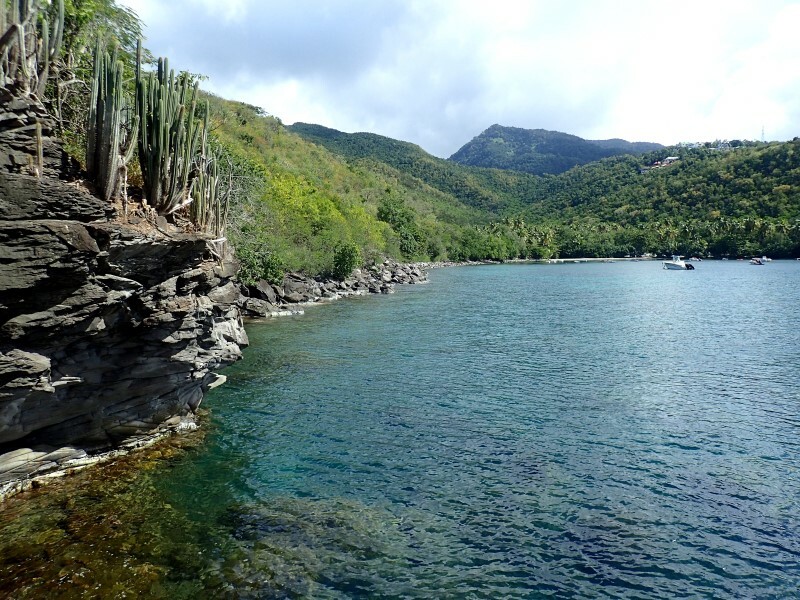 Also Marie Galante is located to the south of Guadeloupe and fully deserves the short ferry trip to reach it. 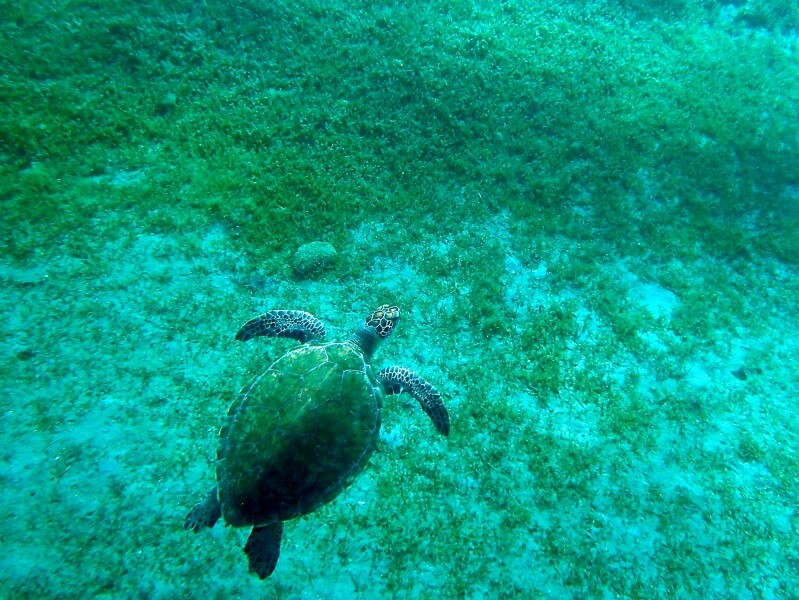 Sea lovers will enjoy it for the snorkeling and the spectacular beaches. Then go visit the pages with info dedicated to travel itineraries in the Caribbean, to sailing in the Caribbean and to the kayaking trips in these amazing islands. 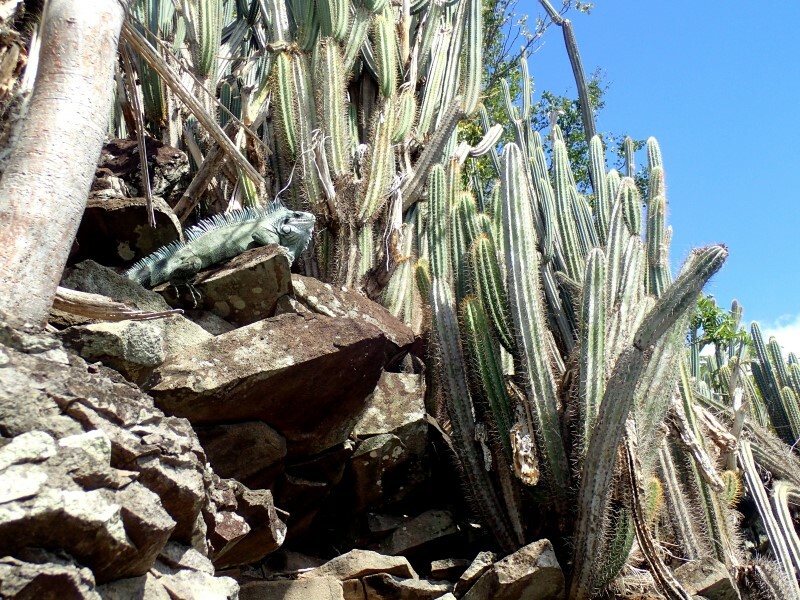 You can also get specific info about Antigua, Dominica, Saint Lucia, Saint Vincent, the Grenadines and Tobago Cays.